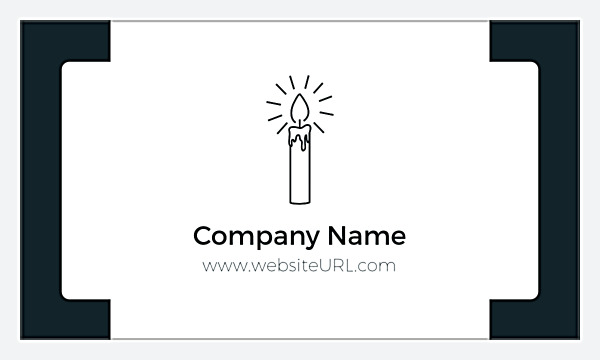 Make your business shine with our Candlelight business card design template, featuring a bright, modern, minimalist design that makes a powerful brand statement. Ample white space is accented by attention-getting bold strokes on the front and back, which also features a replaceable line art logo that adds sophisticated balance. Candlelight is perfect for contemporary, understated businesses such as art galleries, professional services, and the health and beauty industry; as well as restaurants, diners, and cafes. Candlelight is customizable; choose between three different color schemes and four trim finishes to cast the perfect light on your brand. 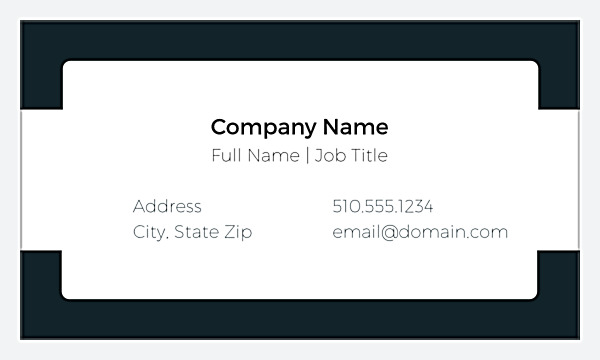 Customize your business cards with our online business card maker, which lets you add your own logo, set your font, and add your own contact details, tagline, and other text. It’s the easiest way to get a professionally-designed custom business card without the expense of hiring a graphic designer. When you’re finished making tweaks, download a PDF to share then select your printing options – that’s all there is to it! If you want fast printing turnaround and reliability, look no further than business card printing by PsPrint. Our customer satisfaction guarantee means you can enjoy premium printing at discount prices. Impress customers and earn more business with affordable business card printing from PsPrint.